Kratom, the controversial drug proponents of which argue could help combat the opioid epidemic, contains opioid compounds and has the potential for abuse, according to a report issued by the Food and Drug Administration on Tuesday. "As the scientific data and adverse event reports have clearly revealed, compounds in kratom make it so it isn't just a plant—it's an opioid," FDA Commissioner Scott Gottlieb said. Kratom refers to a plant originating in southeast Asia, where its leaves are chewed to relieve pain, improve mood, and as a stimulant. In recent years it has spread to the United States, where it is sold in pill form, consumed in tea, or smoked. Kratom is legal at the federal level, but regulators have voiced concerns about its opioid-like effects. In the summer of 2016, the Drug Enforcement Agency announced that it was listing several of kratom's active ingredients as a schedule 1 drug on an emergency basis, putting it in the same group as heroin, LSD, and MDMA. Public outcry followed, including a 120,000-signature petition presented to the Obama White House and a letter from a bipartisan group of House members. This response prompted the DEA to announce that it would delay its ban pending public comment. Since then, kratom has existed in a legal limbo, not scheduled but currently listed as a "drug of concern" by the DEA. The FDA has also been closely following the drug, issuing a public health advisory last November cautioning against use of the drug, and placing kratom products on import alert to prevent them from entering the the United States illegally. The latest report from the federal drug regulator suggests these proactive measures may have been warranted. The FDA's new analysis used computerized 3D modeling to investigate the molecular structure of the compounds that make up kratom. That analysis concluded "that all of the [kratom] compounds share the most structural similarities with controlled opioid analgesics, such as morphine derivatives." It also found that many of the compounds in kratom bind to the same receptors in the brain—mu-opioid receptors—as opioids do. "The data from the PHASE model shows us that kratom compounds are predicted to affect the body just like opioids. Based on the scientific information in the literature and further supported by our computational modeling and the reports of its adverse effects in humans, we feel confident in calling compounds found in kratom, opioids," Gottlieb said. The FDA also identifed 44 reported deaths associated with the use of kratom. At least one of those deaths, Gottlieb noted, involved an individual with no known history of opioid use besides kratom. This adds up to a fairly damning case against kratom, Gottlieb said. "Taken in total, the scientific evidence we've evaluated about kratom provides a clear picture of the biologic effect of this substance. Kratom should not be used to treat medical conditions, nor should it be used as an alternative to prescription opioids. There is no evidence to indicate that kratom is safe or effective for any medical use," he said. He also objected to those kratom advocates who try to discount kratom's opioid effects because of its herbal plant appearance. "Claiming that kratom is benign because it's ‘just a plant' is shortsighted and dangerous," Gottlieb said. "After all, heroin is an illegal, dangerous, and highly-addictive substance containing the opioid morphine, derived from the seed pod of the various opium poppy plants." 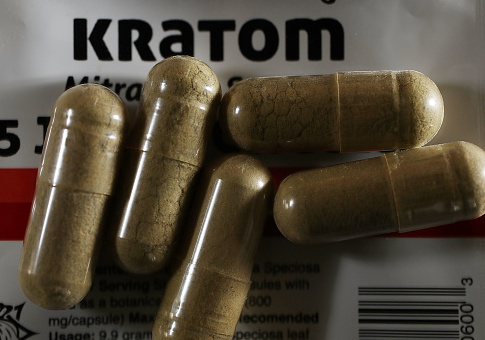 Congressional supporters of kratom have previously contended that the drug is not an opioid, and does not represent enough of a public safety risk to merit scheduling by the DEA. "Kratom is not an opioid, it is a natural supplement made from the leaves of a tropical tree native to Southeast Asia and a relative of the coffee plant," wrote the aforementioned 25 House members. "Numerous scientific studies, including studied funded by the NIH, have shown the addiction potential for kratom is substantially lower than that of ‘narcotic-like opioids' and it does not produce the deadly respiratory depressant effects that is the primary cause of opioid overdose deaths." "The DEA has a limited amount of resources, and we feel taxpayer dollars should be prioritized to prevent the sale of illegal substances like heroin and fentanyl," the letter, sent in January, read. The opioid status of kratom, and its overdose risk, are particularly important given the nationwide opioid epidemic. Recent estimates from the Centers for Disease Control and Prevention found that opioids are responsible for more than 42,000 overdose deaths in 2016. The rise in drug overdose, driven largely by opioids, is responsible for a two-year drop in U.S. life expectancy. This entry was posted in Issues and tagged FDA, Opioids. Bookmark the permalink.